I asked to stay in the house – it was my idea. 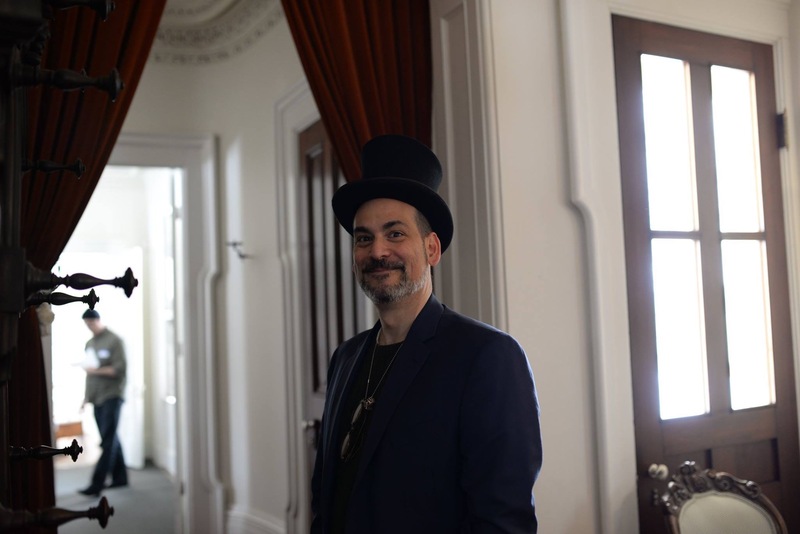 Like Abraham Lincoln, by the time I actually dropped my overnight bag in the Lincoln-Tallman House bedroom, I had just experienced an extended and unexpected travel experience. Lincoln was asked to give an unplanned election speech in Janesville, WI on Saturday, October 1, 1859. After the speech, he was offered a bedroom in the Tallman house for the evening. The story is, that he left his boots outside his bedroom (as was the custom), and didn’t find them there in the morning. Because he was embarrassed to leave his room in stocking feet, he missed his train. 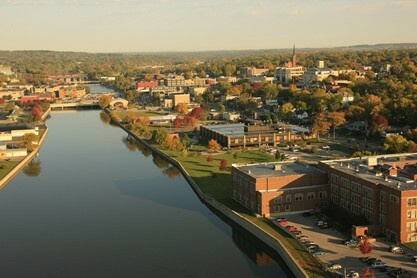 As a result, Lincoln then stayed a second evening and caught a train to Chicago the following day. 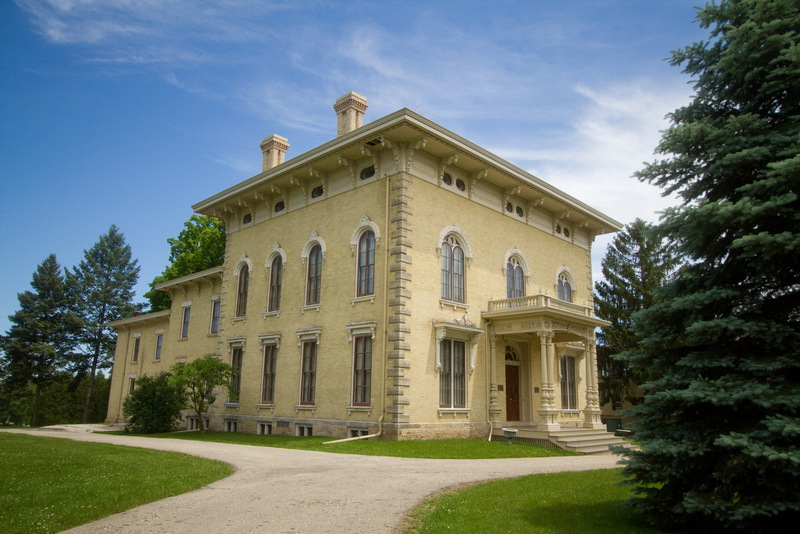 Such is the narcissism of details for the Lincoln-Tallman House: Not only is it architecturally significant, it is the only Wisconsin house that Lincoln ever slept in. It is now a historic house museum and run by the Rock County Historical Society. 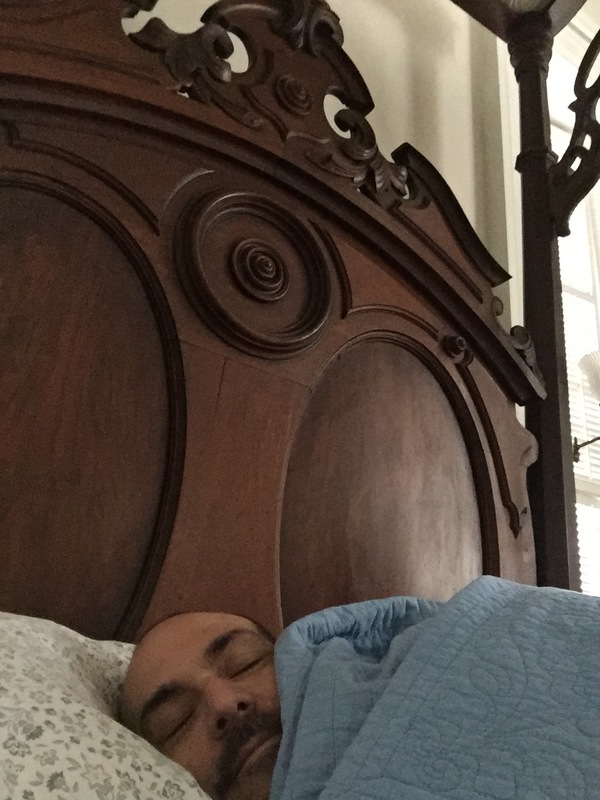 Not to make too much of a comparison between me and Abe (I am only 6’ 1” tall, bald and I am not Presidential material) nor go into great detail of my travel, suffice it to say that after waking up at 5:00am to get to the airport, my flight was cancelled and I was placed on another flight. 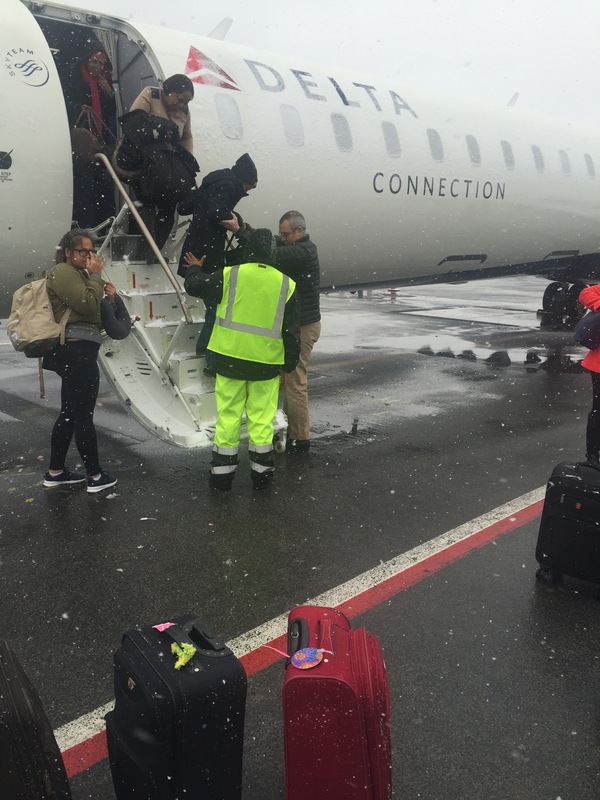 I sat on the runway for 3 hours with mechanical problems, then fumes from the plane entered the cabin, forcing us to finally leave the plane the old-fashioned way – via stairs that look like it’s 1954. Did I mention it was snowing and people were slipping on the metal stairs? Anyway, after boarding the new plane we sat on the runway for an hour or so more and then took off. After all of these machinations – I became very motion sick and spent most of the flight in the bathroom. I had not planned on any of this, and as you can imagine, it was not a good time. My fantastic hosts at the Rock County Historical Society, picked me up at the Milwaukee airport and we drove about an hour and a half to the town of Janesville, WI. As you might be able to imagine, I needed to rest a bit before my evening presentation. 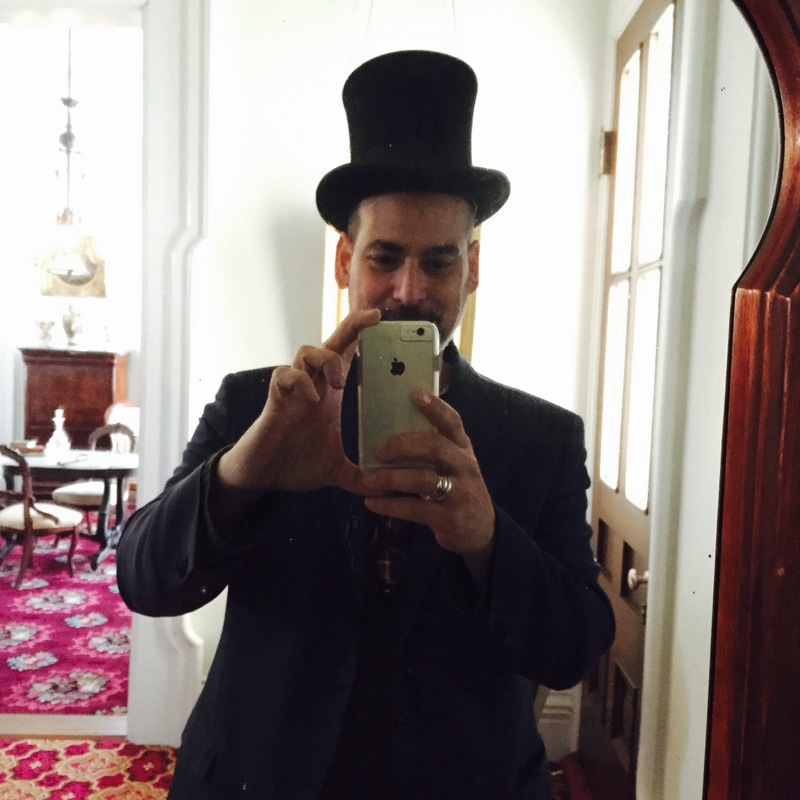 Nate Fuller (Education Curator), quickly showed me the Lincoln-Tallman House, my bedroom, and left me alone to rest. I took my shoes off and placed them outside of my bedroom door, and I closed the very large wood interior shutters of my bedroom. My hope was that the darkness would provide a bit of visual quiet. I went straight to bed. I slept for two hours solid. Once awake again, I was surprised how dark the room was. Had I overslept? No. Those shutters really did their job. 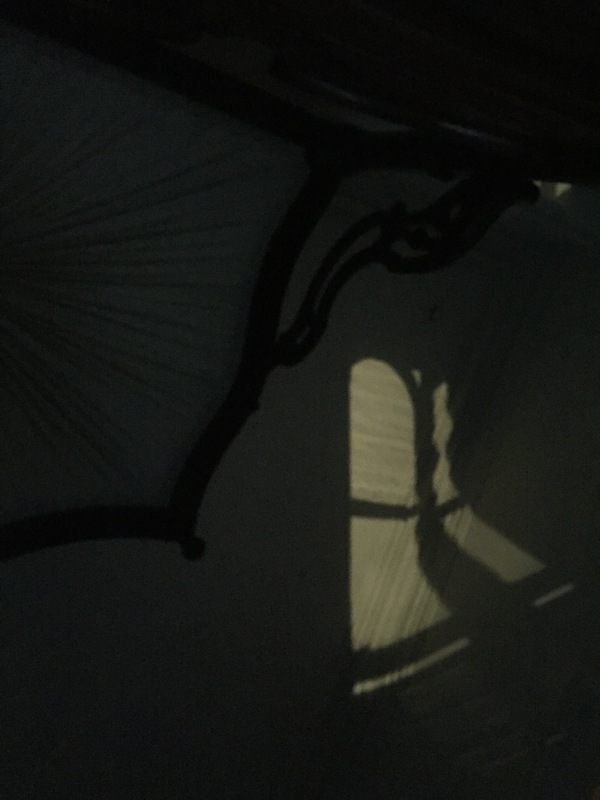 While waking up, I looked up and noticed the huge wood and fabric canopy thing hovering above my bed. It appeared as if it were simply cantilevered from two skinny columns. I have to admit, given the day that I had experienced, I jumped out of bed and looked at the structure of the bed to make sure that this damn thing wouldn’t drop on top of me while I slept. It felt solid enough. I asked my friends at the Chipstone Foundation what to call this thing – they told me it was a 1/2 tester canopy. I began to open the shutters. I couldn’t open some of them (they must have been painted shut? ), but some were hinged and I swung them open. The windows were deceptively large and tall. I hadn’t really noticed before my nap, but they seemed twice my height. I opened only a few of the shutters and the room filled with light. It struck me as odd, because the sky was a darkish, grey color, but the room filled with light almost as if it were a bright day. I intently closed the shutters again – and then opened them. 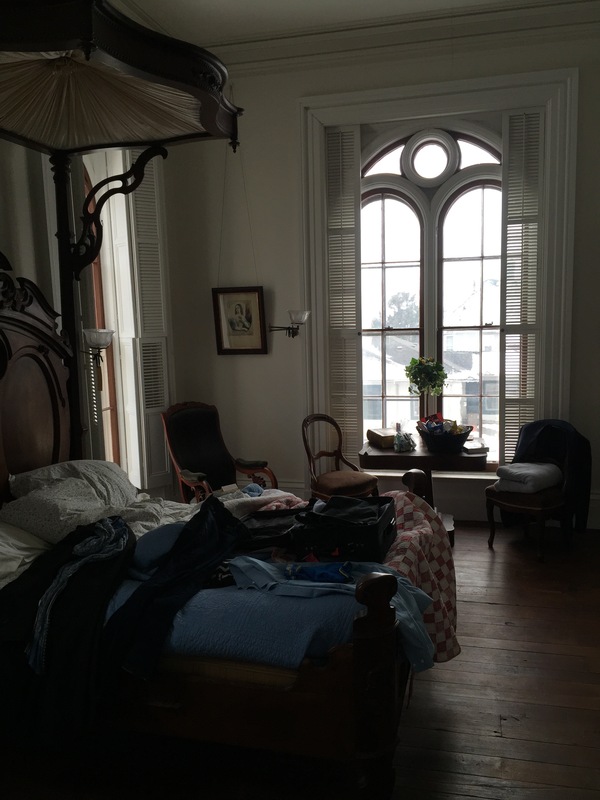 I had always known that the large windows in traditional houses provided light for the day’s activities, but it wasn’t until that moment that I understood in a tangible way, why windows in older homes were so large. I guess I had internalized the wall to glass ratio of a traditional house and never really thought about why that ratio naturally evolved. I mostly thought of it as aesthetic. I quickly got dressed for my presentation, put on my shoes (they were still there) and headed out of the house. 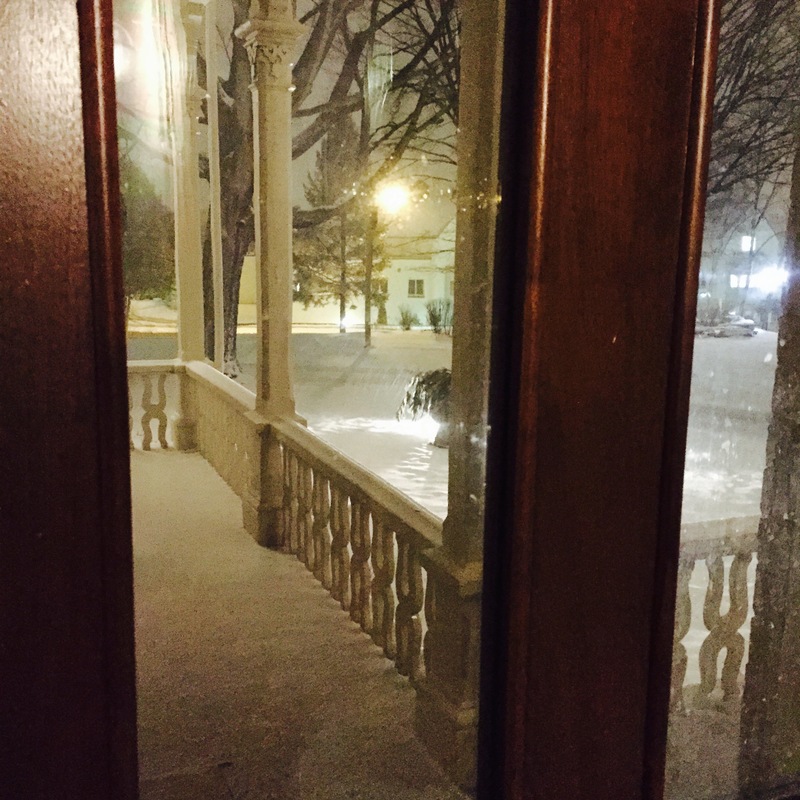 In returning to to the Lincoln-Tallman House in the evening, I was greeting by a windy snowstorm. It began snowing during my presentation, and now the ground was covered and the house took on the appearance of a mountain top sanctuary greeting a pilgrim for an overnight stay. The house was dark, and I entered from the back door through the servants wing. I was handed a hand-held lantern and wished a good night by my willing hosts. They told me to watch out for the bats (and maybe a mouse), but other than that they disappeared in the snowstorm. As I entered the house and walked up the grand spiral stairs I was greeted by contorted shadows of the evening light and snowstorm through those enormous shutters. The shutters took on a personality with a “language of their own”. They became the sentinels of the house, keeping the cold and snow at a distance. I was reassured by their size and heft. These babies were not decorative; they had hard work to do. After getting situated, I changed into my sleeping jammies and got in bed. 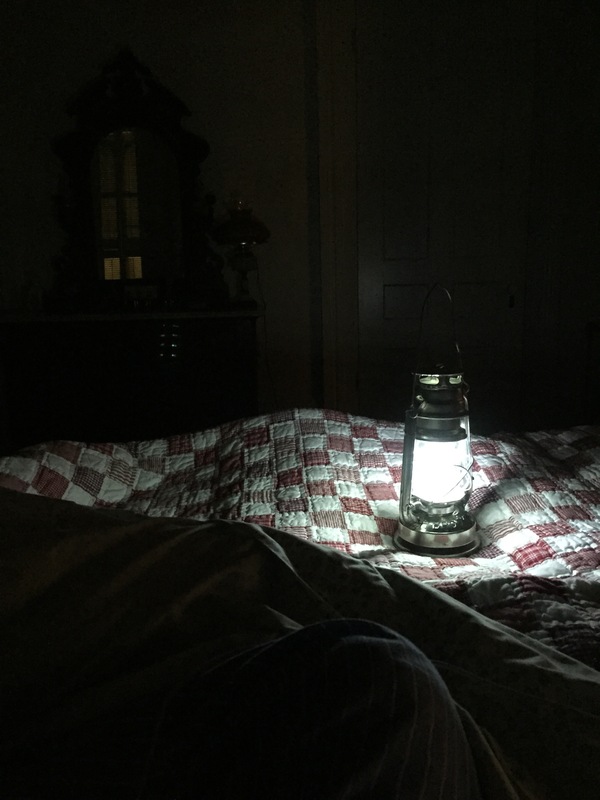 I still held onto the lantern and placed it on the bed, while I grew accustomed to my traveler’s bedroom provided by the Tallman family. I thought I might open the shutters so that I could fall asleep watching the snow storm outside, but when I opened a few shutters, it made me feel very vulnerable and somehow uncomfortable. The scale of the windows and the size of the glass panes felt so very fragile at night and I started to see the windows as a “day-time” necessity, not really a “night-time” manifestation. Before I went to bed for the evening, I walked around the dark house a bit with my lantern. The dark rooms faded away as I walked around. When I entered each room, they woke up and greeted me, but quickly went back to sleep as my light left them. The huge windows were no longer an element in the house because the shutters turned them into solid walls of paneling. This feeling was very different from draperies. As a kid, I always worried what was hiding behind the fabric. They seemed creepy to me. Now I felt comfort from these ‘window coverings”. I went back to my large bedroom and got in bed. I was fortunately gifted several warm quilts that turned that bed into a warm cocoon. The room was cold, and even after going under the many quilts, it occurred to me that I needed to grab my cap because my head was cold. Next time, I will bring a night cap. Because of the day I had, I was asleep very quickly. No bats, no mice – nothing. Just a very safe-feeling evening of rest. Many people asked me about ghosts, “Had I met Abe?” they asked. It is funny to even think this, because the house felt so encapsulating and fortress-like, that I never found myself feel the slightest bit spooky. If anything, I felt like old Abe might have been sitting outside my bedroom door watching my shoes so that the same incident that occurred to him wouldn’t happen to me! The Tallmans had an indoor “outhouse” on the second floor, near my bedroom, but when I had to go to the bathroom in the middle of the night, I had to slowly step my way down the formal stairs and into the servant’s wing public bathrooms. While I was walking, I was very aware of how easy it would be to fall down these stairs if you were groggy (let alone wearing a hoop skirt). I managed and got back upstairs into my warm bed. When I woke up, my first vision was of a chair to the left of my bed. 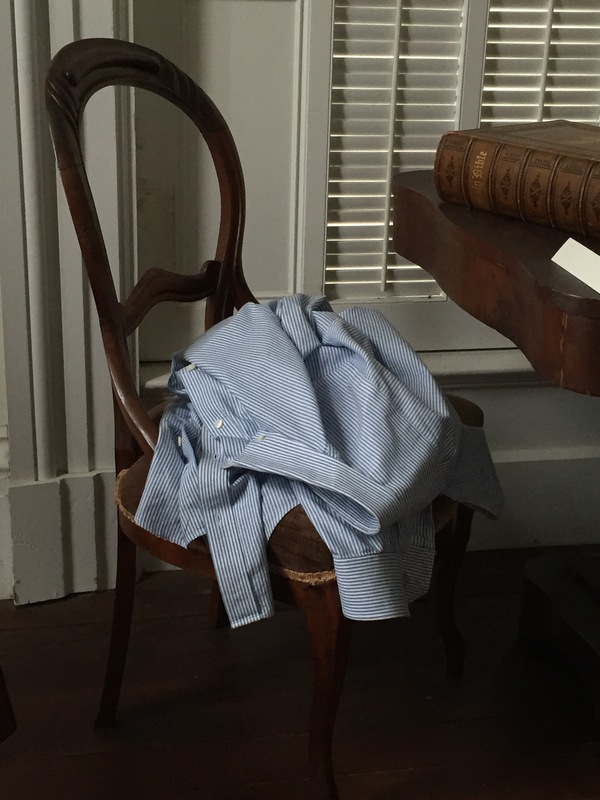 I had, without thinking of it, thrown my shirt on the chair. It seemed such a simple result of actually living in a space. I would have never “designed” a staged historic house room to include such a casual gesture (it would cover up the fabric of the seat and it obscured the lines of the chair). In the light of day and after a restorative night of sleep, I attempted to open all of the shutters so that I would have light with which to get dressed. After a few attempts, I realized that the really large shutters were pocket doors! They went back into the wall cavity. Brilliant. They moved so easily. The act of opening these pocket shutters welcomed in the morning in a very active and conscious manner. 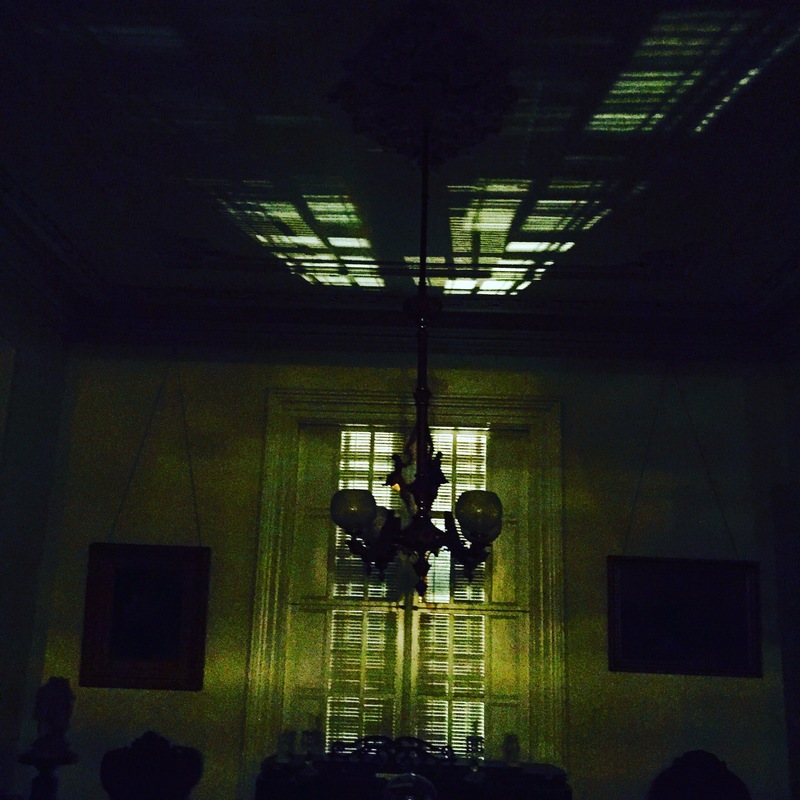 I felt like I had been given an intimate snippet of the house and its life. 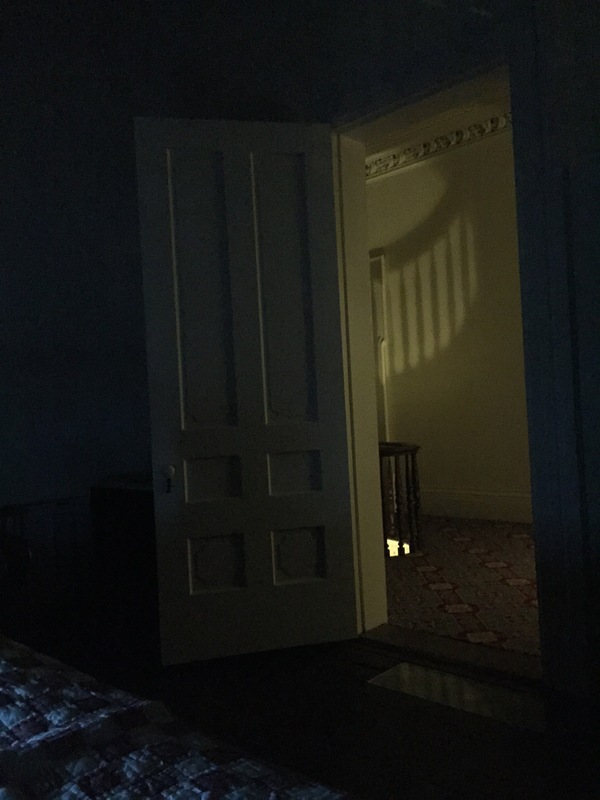 The shutters, so important to make me feel safe at night, were now willing to go away into the wall, and await my request later in the day, when the night fell and I wanted to feel safe again. My morning went quickly. I got dressed for the day’s activities. 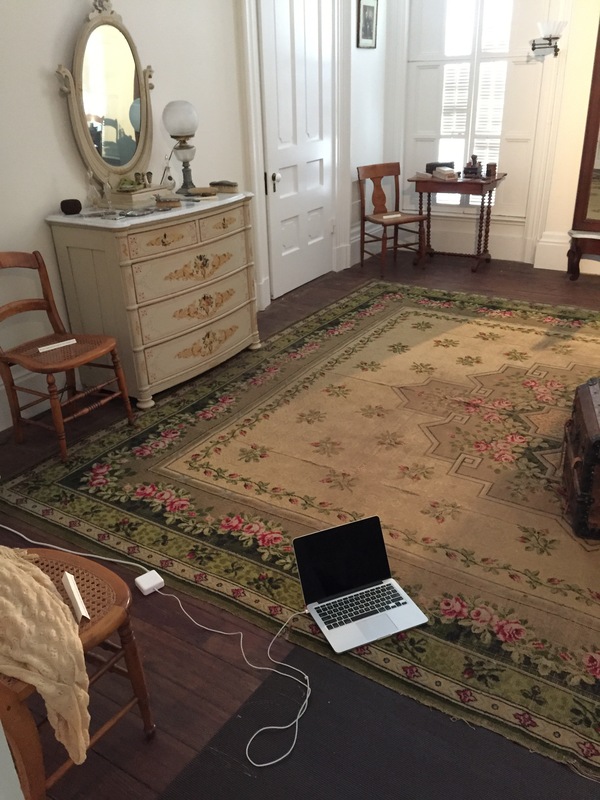 I was facilitating an historic house museum immersive workshop at the Lincoln-Tallman House that day and everyone would be arriving soon. I chose to leave my bedroom alone and not straighten it up. I left my jammies and dirty socks on the floor. I wanted to see what people thought about a room that was being used. After the half-day workshop, I went back into my bedroom and noticed that only a few “anarchist tags” had been left on the bed. That was odd, because most rooms had dozens strewn around. 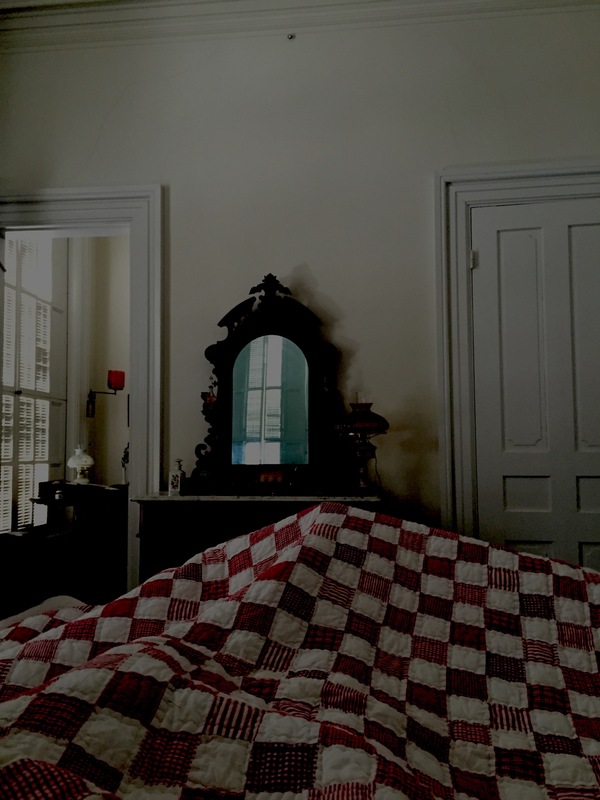 My realization, was that the bedroom actually felt lived in, and the workshop participants thought that it was an intimate violation to spend time in a room within which I was sleeping. 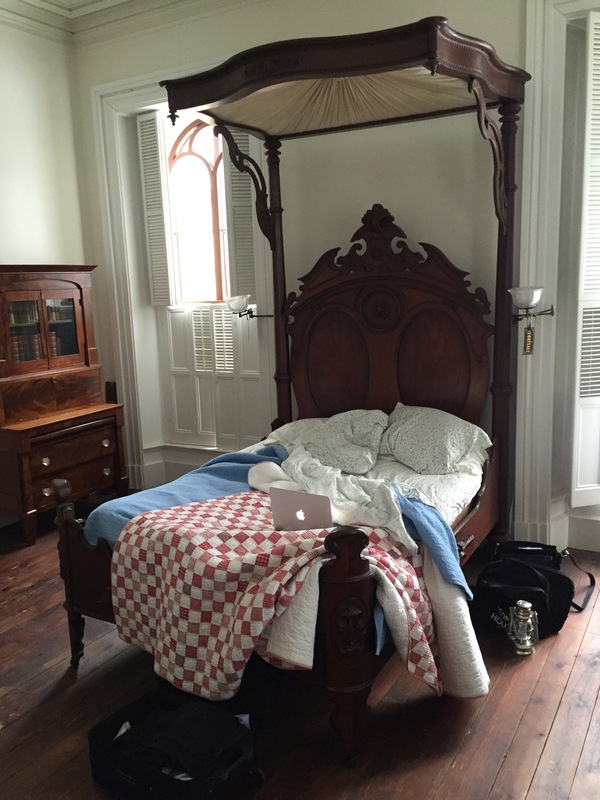 So, what was the results of my “One Night Stand” at the Lincoln-Tallman House? I felt welcomed by the house. It seemed to be happy to host another traveler. I also gained a deep and visceral understanding of the inner workings of this house. For instance, I was introduced to how the kinetic movements of the structure (shutters and doors) provided a necessary function beyond mere aesthetics. Today most of our shutters are bolted to the wall, they do nothing but add a bit of color to the curb appeal of the house. In the Tallman House, these things carried a very heavy load – they served a very real purpose. Even just that tiny realization was transformative for me. 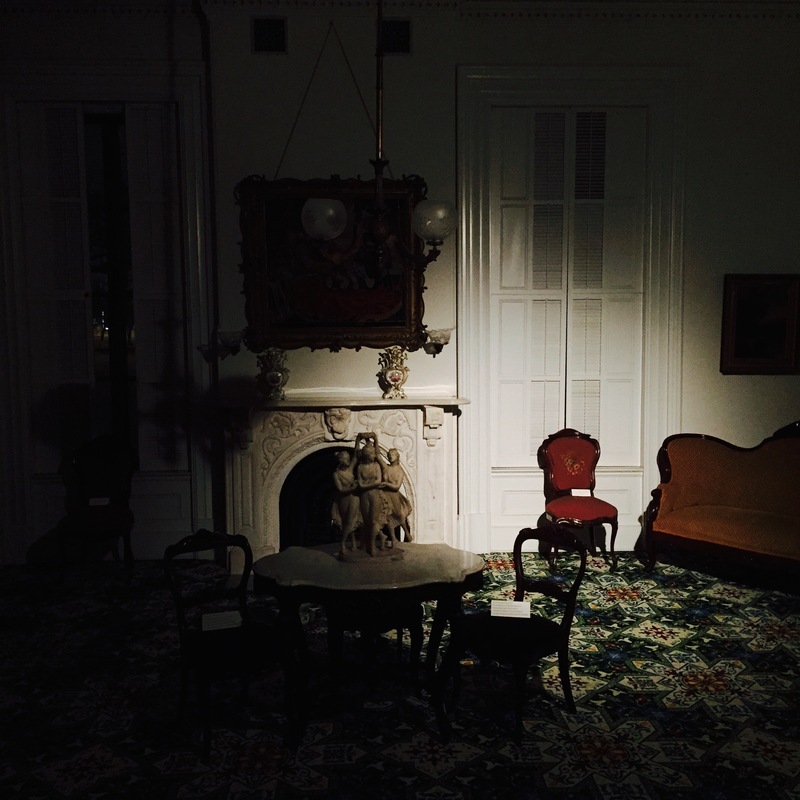 An historic house is not a stage set. If we allow it, it is a tactile and robust communicator of life experiences and latent meanings. This is the first time that I actually experienced the life of a house museum, rather than was told about it. Every historic site has something to tell us, it is just up to us to get out of the way and let it communicate. The fact that I was simply sleeping over in the house, allowed me to erase the “fourth wall” of a typical public visitor experience, and blend with the natural cycles and breathing of the house itself. 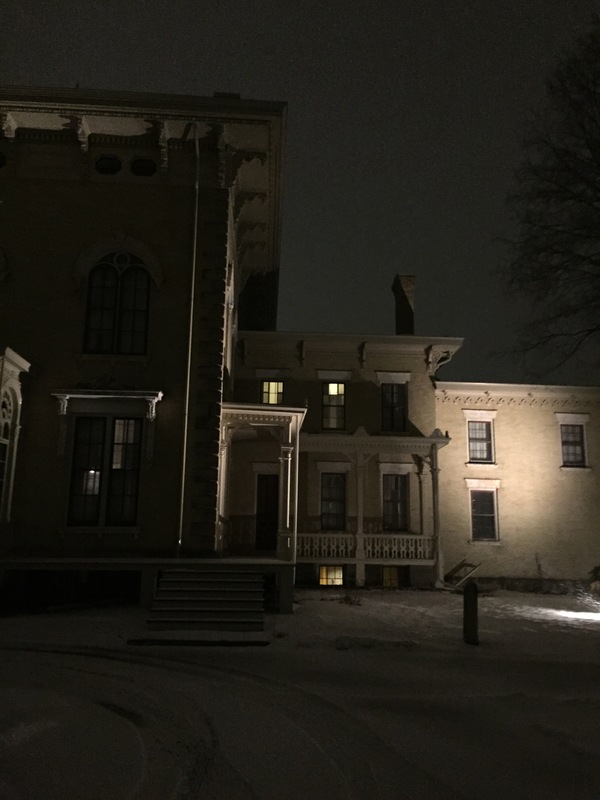 The Tallman House accepted me in a way that exceeded a mere gesture of welcome – It protected me, kept me safe from the outside perils, and warmed me from the snowstorm. Its usefulness as an intimate HOME was revealed to me. So there I was, shutting the door to my “one-night stand” with the Lincoln- Tallman House. I hope it wouldn’t regret the time it spent with me. As I was leaving the house, I was greeted by a text from Mike Reuter, The Executive Director of the Rock County Historical Society. It said: “BTW, you are the first person to sleep in Lincoln-Tallman since 1915”. What a delightful tale! Really gives a new perspective to live IN a historic home. I’m glad you had the experience! And how cool to be the first person to sleep there since 1915. I’m not sure that one could experience ‘what it was like,,,” unless the house were restored and furnished in period. 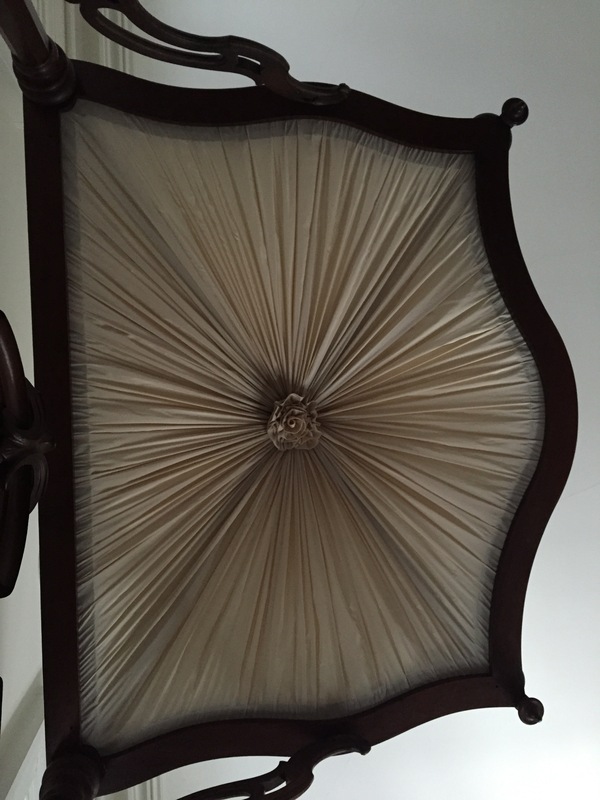 While it has an antique or two, those big windows would have lace, and drapes, and likely cornices and swags and all sorts of layers of fabric….so the true experience of period living would be significantly different than bare windows…. but that’s just the opinion of a museum professional, what do I know? I appreciate your comments – In fact the Tallman’s did not have fabric coverings – they liked the look of the shutters. The house does have period furniture, much actually original to the family, and the house has been fully restored to how it was in the 1850’s. The shutters are original, and the family never had drapes on the windows. This house would actually give you a fairly accurate feel for what it would have felt to live in the house prior to “modern” conveniences. “More than decorative art galleries”, that gave me a chuckle. I hope your overnight stays show you there is FAR more to historic homes then the decorative arts we place inside them. I’ll be interested to see how much can be achieved in one night. For those of you interested to stay on a Dutch historic country house, estate or even a castle (of which some are museums) please see l long list of possibilities: http://www.skbl.nl/bb-op-kasteel-buitenplaats-of-landgoed/ English information on sKBL (Castles, Buitenplaatsen en Landgoederen) is to be found on the homepage of http://www.skbl.nl SKBL is a cultural foundation for Dutch castles, country houses (buitenplaatsen) and estates. Greetings.